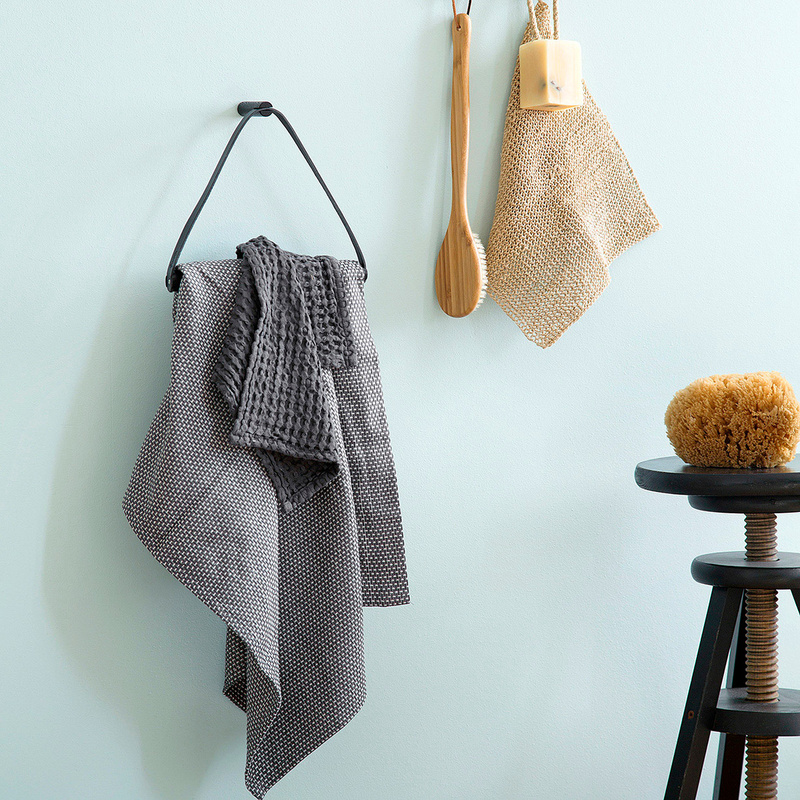 The Towel hand towel holder: how to bring a spa atmosphere in your home. 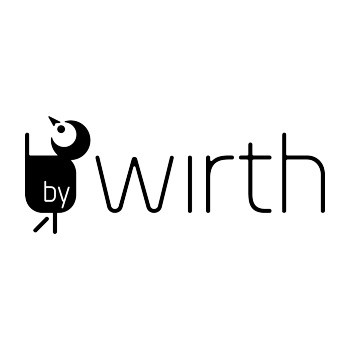 If you want to experience the warm feeling of being in a spa, accessorize your bathroom with Towel by ByWirth, a simple and captivating accessory that in a moment can transform your bathroom into a relaxing, charming and stylish environment. 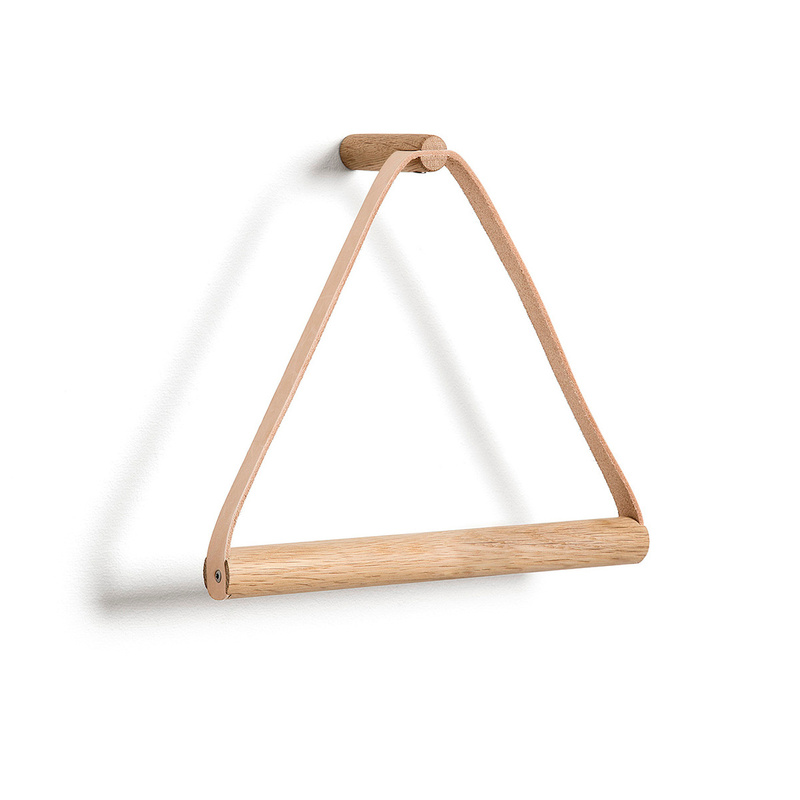 Measuring 25 cm in length and 22 cm in height, the towel holder features a contemporary and stylish geometric shape, a beautiful triangle made in oak and leather: a sturdy wooden board is supported by a leather strap while a wooden hook allows the item to be fastened to the wall. This item by ByWirth is sure to charm you with its delicate design and the durability of the materials it is made in, resistant even to moisture as well as wear and tear. 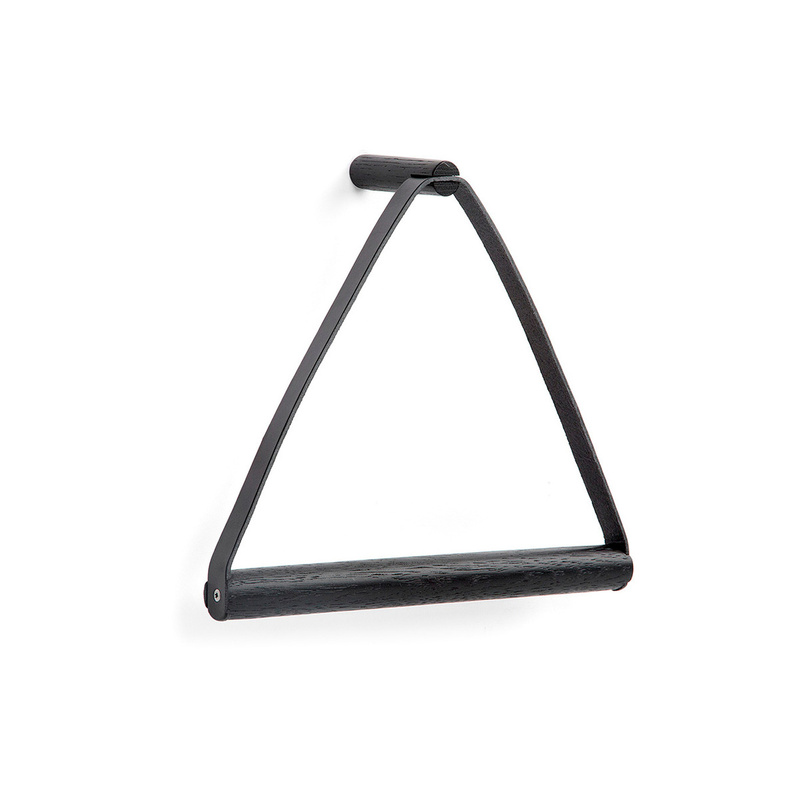 Extremely versatile, this item can fit into the most diverse bathroom styles, especially Nordic ones or colourful environments where you will be able to create an interesting chromatic contrast. We all know that accessories are of paramount importance in a bathroom and Towel, nestled in a corner of the room, can transform the environment and offer a touch of functionality, providing you with a place in which to store guest hand towels. 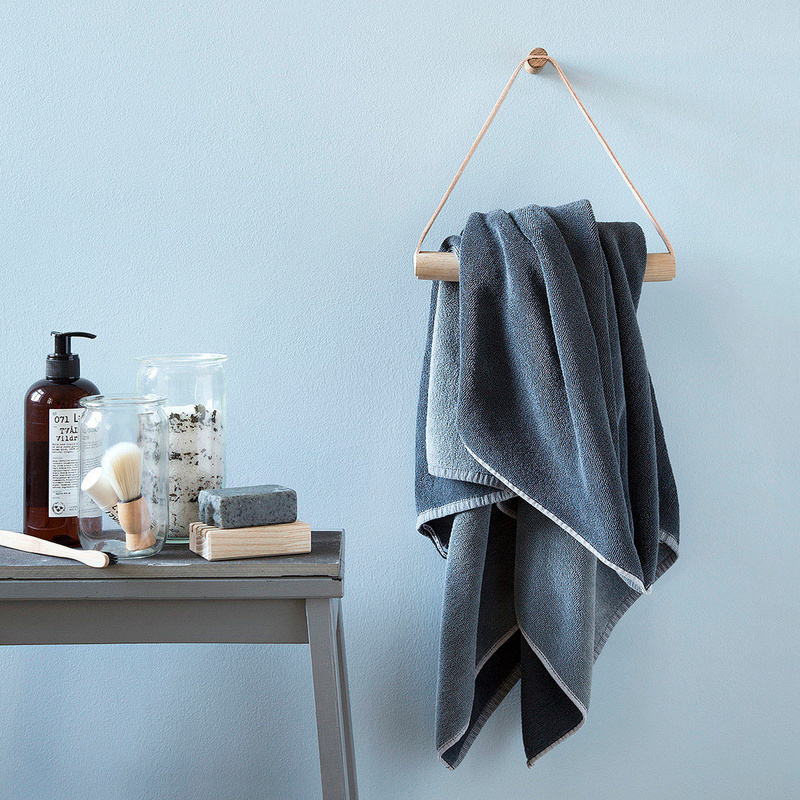 With a design that creates a welcoming atmosphere in the bathroom, Towel will decorate any anonymous wall, becoming the indisputable protagonist of the room with its style recalling Nordic decor. 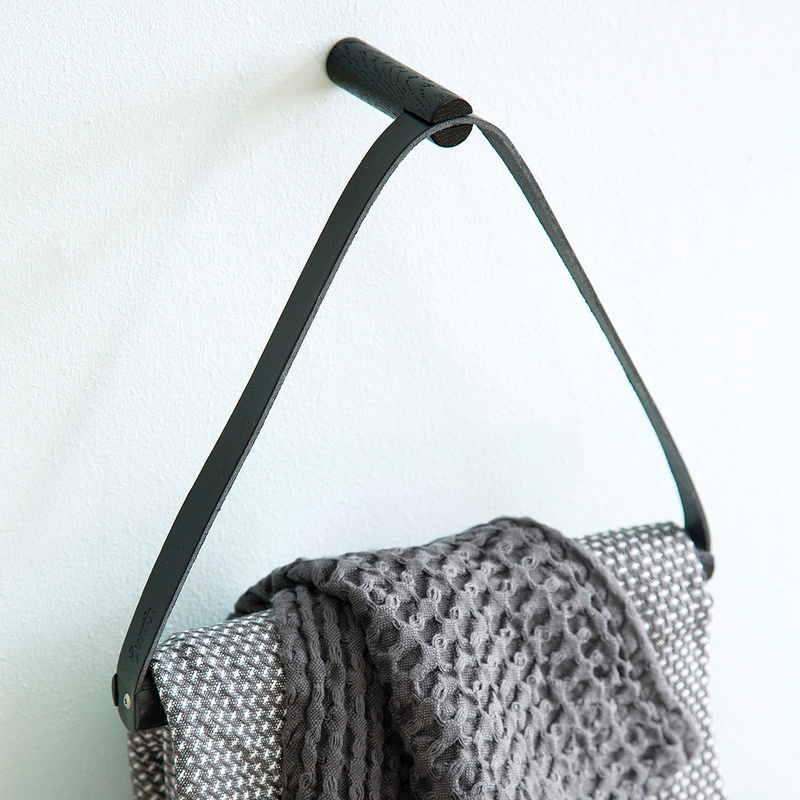 Match it to other ByWirth pieces to create an intriguing combination.